Google, copyright, and our future. In early 2002, the filmmaker Grace Guggenheim--the daughter of the late Charles Guggenheim, one of America’s greatest documentarians, and the sister of the filmmaker Davis Guggenheim, who made An Inconvenient Truth-decided to do something that might strike most of us as common sense. Her father had directed or produced more than a hundred documentaries. Some of these were quite famous (Nine from Little Rock). Some were well-known even if not known to be by him (Monument to a Dream, the film that plays at the St. Louis arch). Some were forgotten but incredibly important for understanding American history in the twentieth century (A Time for Justice). And some were just remarkably beautiful (D-Day Remembered). So, as curator of his work, Grace Guggenheim decided to remaster the collection and make it all available on DVD, which was then the emerging platform for film. Her project faced two challenges, one obvious, one not. The obvious challenge was technical: gathering fifty years of film and restoring it digitally. The non-obvious challenge was legal: clearing the rights to move this creative work onto this new platform for distribution. Most people might be puzzled about just why there would be any legal issue with a child restoring her father’s life’s work. After all, when we decide to repaint our grandfather’s old desk, or sell it to a neighbor, or use it as a workbench or a kitchen table, no one thinks to call a lawyer first. But the property that Grace Guggenheim curates is of a special kind. It is protected by copyright law. Documentaries in particular are property of a special kind. The copyright and contract claims that burden these compilations of creativity are impossibly complex. The reason is not hard to see. A part of it is the ordinary complexity of copyright in any film. A film is made up of many different creative elements--music, plot, characters, images, and so on. Once the film is made, any effort at remaking it--moving it to DVD, for example--could require clearing permissions for each of these original elements. But documentaries add another layer of complexity to this already healthy thicket, as they typically also include quotations, in the sense of film clips. So just as a book about Franklin Delano Roosevelt by Jonathan Alter might have quotes from famous people talking about its subject, a film about civil rights produced in the 1960s would include quotations--clips from news stations--from famous people of the time talking about the issue of the day. Unlike a book, however, these quotations are in film--typically, news footage from CBS or NBC. Whenever a documentarian wanted to include these clips in his film, he would ask CBS or NBC for permission. Most of the time, at least for a healthy fee, CBS and NBC and everyone else was happy to give permission so as to be included. Sometimes they wanted to see first just how the clip would be used. Sometimes they would veto a particular use in a particular context. But in the main there was a healthy market for securing permission to quote. The lawyers flocked to this market for permission. (That’s their nature.) They drafted agreements to define the rights that the quoter would get. I suspect that most filmmakers never thought for a second about how odd this “permission to quote” was. After all, does an author need to get permission from The New York Times when she quotes an article in a book about the Depression? Indeed, does anyone need permission from anyone when quoting public statements, at least in a work talking about those statements? Ordinarily, one would think that this sort of “use” is “fair,” under the rules of copyright at least. But most documentarians--indeed, most filmmakers--did not care to work through the complexity and the uncertainty of a doctrine such as “fair use.” Instead they agreed to licenses that govern--exclusively, as they typically asserted--the rights to use the quotes that were in the film. So, for example, the license would insist that the only right to use the film came from the license itself (not fair use). And it would then specify the scope and term of the right--five years, North American distribution, for educational use. [The series] is no longer available for purchase. It is virtually the only audiovisual purveyor of the history of the civil rights movement in America. What happened was the series was done cheaply and had a terrible fundraising problem. There was barely enough to purchase a minimum five-year rights on the archive-heavy footage. Each episode in the series is fifty percent archival. And most of the archive shots are derived from commercial sources. The five-year licenses expired and the company that made the film also expired. And now we have a situation where we have this series for which there are no rights licenses. Eyes on the Prize cannot be broadcast on any TV venue anywhere, nor can it be sold. Whatever threadbare copies are available in universities around the country are the only ones that will ever exist. It will cost five hundred thousand dollars to re-up all the rights for this film. As American University’s Center for Social Media concluded, “rights clearance costs are high, and have escalated dramatically in the last two decades,” and “limit the public’s access” to documentary film. The consequence of this ecology of creativity is that the vast majority of documentaries from the twentieth century cannot legally be restored or redistributed. They sit on film library shelves, many of them dissolving, since they were produced on nitrate-based film, and most of them forgotten, since no content company or anyone else can do anything with them. In this sense, most of these works have been made orphans by a set of agreements concluded at their birth, which--like lead in gasoline--were introduced without any public recognition of their inevitable toxicity. Except of course for those with a devoted heir, such as Grace Guggenheim. She was not willing to accept defeat. Instead she set herself the extraordinary task of clearing all of the rights necessary to permit her father’s films to be shown. Eight years later, she is largely done. About ten major works remain. Just last year, her father’s most famous documentary--Robert Kennedy Remembered, made in 1968 in the two months between Kennedy’s assassination and the Democratic National Convention, and broadcast only once--was cleared for DVD release through the Robert F. Kennedy Memorial Center. I entered the rare book room at the Harvard law library for the first time last fall. At the end of the main reading room, the Elihu Root Room, there are bookcases filled with old books, some of them older even than the Republic. I had come to see just what it would take to have a look at the oldest published works that were available at this, one of America’s premier libraries. Not much, it turned out. The librarians directed me to a table. I was free to page through the ancient text, carefully. Books--physical books, and the copyrighted work that gets carried in them--are an extraordinarily robust cultural artifact. We have access to practically every book ever published anywhere. You do not need to be a Harvard professor to enter the rare book room at the law library. You do not need to touch rare books to read the work those books hold. Older works--before 1923, in the United States--are in the public domain, which means that anyone, including any publisher, can copy and reprint that work without any permission from anyone else. There is no Shakespeare estate that reviews requests for new editions of Hamlet. The same is true for every nineteenth-century author in America. These works are freely and widely available, because no law restricts access to these works. And just about the same is effectively true for any book still under copyright. No doubt, publishers are not free to take the latest Grisham novel and print a knockoff. But through the extraordinary efforts of libraries (and they are Herculean, no doubt) and used bookstores, you can get access to basically anything, and for practically nothing. Your library can get it, and share it with you almost for free. Your used bookstore can find it and sell it to you for less than the cost of a night at the movies. So notice, then, how different our access to books is from our access to documentary films. After a limited time, almost all published books (but not all: put aside picture books, poetry, and, for reasons that will become obvious, an increasing range of relatively modern work) can be republished and redistributed. No heir of a long-dead author will stop us from accessing her published work (or at least the heart of it--some would say that the cover, the foreword, the index might all have to go). But the vast majority of documentary films from the twentieth century will be forever buried in a lawyer’s thicket, inaccessible (legally) because of a set of permissions built into these films at their creation. Things could have been different. Documentary films could have been created the way books were, with writers using clips the way historians use quotations (that is, with no permission at all). And likewise, books could have been created differently: with each quotation licensed by the original author, with the promise to use the quote only according to the terms of a license. All books could thus be today as documentary films are today--inaccessible. Or all documentary films today could be as almost all books are today--accessible. But it is the accident of our cultural history, created by lawyers not thinking about, as Duke law professor Jamie Boyle puts it, the “cultural environmental consequences” of their contracts, that we can always legally read, even if we cannot legally watch. In this contrast between books and documentaries, there is a warning about our future. What are the rules that will govern culture for the next hundred years? Are we building an ecology of access that demands a lawyer at every turn of the page? Or have we learned something from the mess of the documentary-film past, and will we create instead an ecology of access that assures copyright owners the incentive they need, while also guaranteeing culture a future? There has been a rage of attention to the recently revised proposal for a settlement by Google of a lawsuit brought against it by the Authors Guild of America and the Association of American Publishers (AAP). In 2004, Google launched the sort of project that only Internet idealists such as the entrepreneur and archivist Brewster Kahle had imagined: to scan eighteen million books, and make those books accessible on the Internet. How accessible depended upon the type of book. If the book was in the public domain, then Google would give you full access, and even permit you to download a digital copy of the book for free. If the book was presumptively under copyright, then at a minimum Google would grant “snippet access” to the work, meaning you could see a few lines around the words you searched, and then would be given information about where you could buy or borrow the book. But if the work was still in print, then publishers could authorize Google to make available as much of the book (beyond the snippets) as the publishers wanted. The Authors Guild and AAP claimed that this plan violated copyright law. Their argument was simple and obvious--at least in the autistic sort of way that copyright law thinks about digital technology: when Google scanned the eighteen million books to build its index, it made a “copy” of them. For works still under copyright, the plaintiffs argued, this meant that Google needed permission from the copyright owner before that scan could occur. Never mind that Google scanned the works simply to index them; and never mind that it would never--without permission--distribute whole or even usable copies of the copyrighted works (except to the original libraries as replacements for lost physical copies). According to the plaintiffs, permission was vital, legally. Without it, Google was a pirate. For 16 percent of the eighteen million books, the plaintiffs’ charges were no problem: these were works in the public domain. The law assured Google the free right to copy them. Likewise for the 9 percent that were still in print: for these too, it was relatively easy to identify who to ask before scanning was to happen. Publishers were delighted to assure this simple and cheap marketing for published works (practically all had signed up for the service before Google announced Google Book Search). But for 75 percent of the eighteen million books in our libraries, the rule of the plaintiffs would have been a digital death sentence. For these works--presumptively under copyright but no longer in print--to require permission first is to guarantee invisibility. These works are, practically speaking, orphans. It is effectively impossible--at least at the wholesale level--to secure permission for any use that triggers copyright law. Google maintained--rightly, in my view--that its “use” of these copyrighted works (copying them so as to index them, and then simply enabling a search on that index) was “fair use.” That meant it needed no one’s permission before it scanned them, so long as its use was sufficiently transformative. But had Google lost the argument--and courts have been known to reach the wrong conclusion in copyright cases--then the company faced crippling liability. So when it was given a chance to settle, it is no surprise Google took it (though Google insiders insist that fear of liability was not a motive). To its great credit, Google did not back off its claim that its use would have been a “fair use.” And even better, it secured from the plaintiffs and for the public a better deal than what “fair use” would have given it and the public. Under the settlement, Google would pay for the right to make up to 20 percent of copyrighted books whose author could not be found available to the public for free; and beyond 20 percent, the public could pay to access the full book, with the funds given over to a new non-profit charged with getting these royalties to the authors who want them. We get one-fifth of all the orphans (or one-fifth of each orphan) for free. And Google got the chance to build an eighteen-million-book digital library. 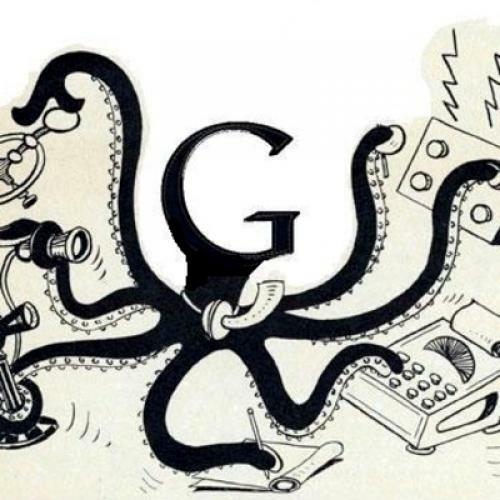 Yet a wide range of companies, and a band of good souls, have now joined together to attack the Google settlement. Some charge antitrust violations. Some fear that Google will collect information about who reads what--violating reader privacy. And some just love the chance to battle this decade’s digital giant (including last decade’s digital giant, Microsoft). The main thrust in almost all of these attacks, however, misses the real reason to be concerned about the future that this settlement will build. For the problem here is not just antitrust; it is not just privacy; it is not even the power that this (enormously burdensome) free library will give this already dominant Internet company. Indeed, the problem with the Google settlement is not the settlement. It is the environment for culture that the settlement will cement. For it practically guarantees that we will repeat the cultural-environmental errors of our past, by now turning books into documentary film. To grasp the problem, you must actually open up the 165-page-long settlement and read a bit of the language. (The first twenty or so pages are definitions, so skim those.) Very quickly, one sees that the Twitter version of this settlement sounds better than the actual document reads. For rather than a relatively simple rule about how much of a book you get for free, and when you have to pay, the actual terms are enormously complex. Whether a book is “free” depends upon the kind of book it is. Journals have a different rule from regular books. Books with pictures have a different rule again. I had been thinking about this issue as a theoretical matter for some time. But then, a few months ago, it hit me quite directly. My wife had just given birth to our third child. On the morning of the child’s third day, doctors were worried about jaundice. By the evening, the child had fallen into a state of severe lethargy. We called the doctor. He wanted a report in two hours. If she did not improve, he wanted her taken to the emergency room. By midnight she had not improved, and so I bundled her into the car seat and raced to nearby Children’s Hospital. As I sat waiting for the doctor, I began reading an article I had found through Google about jaundice and its dangers. Fortunately, the piece was published by the American Family Physician, which makes its articles available freely on the Internet. And so with an increasing feeling of panic, I read about the condition--hyperbilirubinemia--that the doctor feared our child had developed. I sat in that waiting room chair staring in disbelief. It was a relief of sorts, to fear for the future of our culture rather than the future of my daughter. But I was astonished. I could not believe that we were this far down the path to insanity already. And that experience spurs me to ask some urgent questions. (The kid is fine, by the way.) Before we continue any further down this culturally asphyxiating road, can we think about it a little more? Before we release a gaggle of lawyers to police every quotation appearing in any book, can we stop for a moment to consider whether this way of organizing access to culture makes sense? Does this complexity get us something we would not get under the older system? Does this innovation in obsessive control produce any new understanding? Is it really progress? Whatever your view of it, notice first just how different this future promises to be. In real libraries, in real space, access is not metered at the level of the page (or the image on the page). Access is metered at the level of books (or magazines, or CDs, or DVDs). You get to browse through the whole of the library, for free. You get to check out the books you want to read, for free. The real-space library is a den protected from the metering of the market. It is of course created within a market; but like kids in a playroom, we let the life inside the library ignore the market outside. This freedom gave us something real. It gave us the freedom to research, regardless of our wealth; the freedom to read, widely and technically, beyond our means. It was a way to assure that all of our culture was available and reachable--not just that part that happens to be profitable to stock. It is a guarantee that we have the opportunity to learn about our past, even if we lack the will to do so. The architecture of access that we have in real space created an important and valuable balance between the part of culture that is effectively and meaningfully regulated by copyright and the part of culture that is not. The world of our real-space past was a world in which copyright intruded only rarely, and when it did, its relationship to the objectives of copyright was relatively clear. At the turn of the century, U.S. copyright law was technical, inconsistent, and difficult to understand, but it didn’t apply to very many people or very many things. If one were an author or publisher of books, maps, charts, paintings, sculpture, photographs or sheet music, a playwright or producer of plays, or a printer, the copyright law bore on one’s business. Booksellers, piano-roll and phonograph record publishers, motion picture producers, musicians, scholars, members of Congress, and ordinary consumers could go about their business without ever encountering a copyright problem. Ninety years later, U.S. copyright law is even more technical, inconsistent and difficult to understand--but more importantly, it touches everyone and everything. In the intervening years, copyright has reached out to embrace much of the paraphernalia of modern society. The current copyright statute weighs in at 142 pages. Technology, heedless of law, has developed modes that insert multiple acts of reproduction and transmission--potentially actionable events under the copyright statute--into commonplace daily transactions. Most of us can no longer spend even an hour without colliding with the copyright law. Copyright did not even matter much, as a practical matter, to most authors. If you are lucky as an author, your work has two vibrant lives. In its first life, the exclusive right of copyright is relevant. In its second life, it is not. Copyright is relevant in the first because, while a work is in print, the publisher needs (or so publishers believe) the exclusive right to publish it. But once the work passes out of print, it has become, from the author’s perspective at least, essentially free. To be sure, used bookstores make money (not much) if they sell a copy of the book, and libraries charge fees to move books from one part of the country to another. But when a used book gets sold, the author gets nothing, and when a patron in a library (in America) checks out a book, the author also gets nothing. The commercial activity of used bookstores and the non-commercial activity of libraries all happens without the permission of an author (or her lawyer), and without any emolument to an author, because none of the activities involved in selling a used book, or in lending a book in a library, triggers the law of copyright. No copy is made. No new work is derived. No performance is done in public. None of the exclusive rights of copyright reach these commercial and non-commercial uses. So the holders of that exclusive right--sometimes authors--get nothing. Authors may not be terribly happy about this. I have heard writers in other countries brag about the $2.50 they receive each year from the tax that is imposed on libraries whenever they let people read books for free. But whether authors are happy or not, it is critical to recognize that the free access that this world created was an essential part of how we passed our culture along. When you send your children to a library to write a research paper, you do not want them to have access to just 20 percent of each book they need to read. You want them to be able to read all of the book. And you do not want them to read just the books they think they would be willing to pay to access. You want them to browse: to explore, to wonder, to ask questions--the way, for example, people explore and wonder and ask questions using Google or Wikipedia. We had a culture where an enormous chunk of cultural life was proliferated and shared without most of us ever calling a copyright lawyer. Whether authors (or more likely, publishers) liked it or not, that was our fortunate past. We are about to change that past, radically. And the premise for that change is an accidental feature of the architecture of copyright law: that it regulates copies. In the physical world, this architecture means that the law regulates a small set of the possible uses of a copyrighted work. In the digital world, this architecture means that the law regulates everything. For every single use of creative work in digital space makes a copy. Thus--the lawyer insists--every single use must in some sense be licensed. Even the scanning of a book for the purpose of generating an index--the action at the core of the Google book case--triggers the law of copyright, because that scanning, again, produces a copy. And what this means, or so I fear, is that we are about to transform books into documentary films. The legal structure that we now contemplate for the accessing of books is even more complex than the legal structure that we have in place for the accessing of films. Or more simply still: we are about to make every access to our culture a legally regulated event, rich in its demand for lawyers and licenses, certain to burden even relatively popular work. Or again: we are about to make a catastrophic cultural mistake. How might we do better? What would a solution to this mess look like, a solution that would not bury our culture in a morass of legal and technical code? The core problem here is not one of Google’s creation. It is not a problem that we should expect Google, or any other private company, to solve. Indeed, Google has gone a great distance in the settlement to mitigate the problems that the law (given digital technology) imports: the settlement has a special deal for libraries and universities, and it has the potential to offer a special deal for researchers. Google and the plaintiffs have tried to grant special favors of access, no doubt to avoid precisely the kind of concern I am raising here. And no doubt the settlement as a whole is an experiment that could teach us a great deal about how culture is demanded, and what access we need to secure. The problem that we are confronting is the result of a law that has been rendered hopelessly out-of-date by new technologies. The solution is a re-crafting of that law to achieve its estimable objective--incentives to authors--without becoming a wholly destructive burden to culture. The details of such a re-crafting are impossible to sketch just yet. We have all wasted too much time waging the copyright wars to know enough what a sensible peace would look like. Still, the contours of some first steps are clear enough. There are two obvious changes that the law should make, plus a third, which, though requiring a difficult choice of values, the law will have to confront. The first is to make this property system more efficient. Governments establish property systems. The minimal obligation on a government is that it make its system efficient. Copyright is a property system established by the federal government. Yet that government has failed in its minimal obligation toward this property system. Copyright is among the least efficient property systems known to man. It is practically impossible--that is, without projectdefeating costs--to identify who owns what for the vast majority of work regulated by our copyright system. The government should not run these registries. They are the sort of thing that the Googles and Microsofts of the world should do. Rather, the government should establish the minimal protocols for these registries, and permit registrars to compete to service that registry. As with the domain name system for the Internet (and the companies that sell TNR.com and the like), these competing registrars would keep the cost low, and have a constant incentive to innovate to make the value they add better than their competitors. This maintenance requirement should apply to books alone--for now. There are different, and enormously complicated, problems with other forms of creative work, photographs in particular, especially after a generation of law telling creators that they need do nothing to secure complete protection for their work. But the objective should be to include these other works as soon as it is feasible, so that this first and most basic obligation of a property system could be met: that it tell the world who owns what. The second obvious change is to build legal-thicket weed whackers. The vast majority of the problems that we now face in preserving and securing access to our cultural past are caused by the failure of the past to anticipate the radical potential of technology in the future. The past can be forgiven for this. Even the designers of the Internet did not foresee its size or its significance. But our response to this complexity should not be simply to suffer through. The thicket of legal obligations that buries film, music, and every other form of creative work (save books) should be re-made using a rule that gives current owners the ability to secure value for those rights, but through a clearinghouse that would shift us away from a world of endless negotiation to a world where simple property rules function simply. The details of this system are beyond the scope of an essay, but the basic idea is simple enough to sketch. For any compiled work--like a film, or a recording--more than fourteen years old (a nod to our Framers’ copyright term), the law should secure an absolute right to preserve the work without burden to the current owner. That means that Grace Guggenheim and others like her--as well as film archives and film studios--should be free to preserve film without worrying about rights clearance of any sort. Whether copying happens or not, the act of preservation should be free of legal restriction. Beyond preservation, however, the rule will have to be more complex. The law should enable a simple way for the compiled work to clear perpetual rights to that work alone, so that it can be made available, even commercially, forever. And this requires progress in how we think about copyright. It requires giving up the idea that the elements in a compiled work--the music in a film, for example--have a continuing power to block access to, or distribution of, that work. Once a work is made, rather, we need to recognize that it has its own claim within our culture. And so long as the necessary permissions to make the work were secured originally, then at some point in the future (again, say fourteen years after its creation), the parts lose the power to control the whole. No doubt, a composer has the right to decide whether her song appears in J.J. Abrams’s next film. But we need to move away from a system in which that composer also has the right to block the distribution of Abrams’s film thirty years after it was made. Such a system of rights is wildly too complex, and it serves no public good, and the law should not support it. Instead, after some period, the copyright owner of the compiled work needs the simple ability to secure the right to distribute the original work in whatever platform for distribution then makes sense. Of course, the Constitution limits the ability of Congress to “sport away vested rights.” But that limit is itself limited. Congress cannot simply declare that rights in creative work do not exist anymore. Yet there is a long tradition in property law recognizing the right of governments to establish simple mechanisms for clearing rights. Thus a rule that permitted copyright owners of film--for example, to opt into a regime that reserved 20 percent of royalties for a collecting rights society to distribute to affected rights holders-would be one system that would cut through the present thicket while permitting compensation to the rights holders, who in theory at least are entitled to revenues. But why should copyright owners not be permitted to agree to whatever complicated system of access they want? It’s their property, isn’t it? Here we come back to Property 101. The law has always set limits on the freedom of property owners to allocate their property as they want. Families in Britain wanted to control how estates passed down the family line. At a certain point, their wants became way too complicated. The response was rules--such as the Rule Against Perpetuities--designed to enhance the efficiency of the market by limiting the freedom of property owners to place conditions on their property, thus making it possible for property to move more simply. That is precisely the impulse I wish to recommend here: that we limit the freedom of lawyers to craft infinitely complicated agreements governing culture, so that access to our culture can be preserved. The third change is the most difficult, since it involves not just old work, but also new work--and not just the battles of lawyers, but decisions about how culture gets created. Yet this question, too, must soon be resolved. The law of copyright is shot through with balances struck to protect markets and to limit markets. Two hundred years of legislation shows a constant effort to identify and to secure the places where commercial values should reign and the places where they should be constrained. Sometimes that limit was an unavoidable by-product of the technology of copyrighted works. No one planned that reading a book would be free of copyright; it just couldn’t, in the physical world at least, be any different. Sometimes that limit was the express intention of Congress--as in the explicitly favorable terms granted to public broadcasting, for example. We need a renewed effort to strike this balance through interests that recognize the good in both sides. It would be a mistake to destroy new markets by eliminating copyright protection where it would do good. It would also be a mistake to assume that all access to culture should be governed by markets, regardless of the effect it has on access to our past. In the most abstract sense, we need to decide what kinds of access should be free. And we need to craft the law to assure that freedom. Some of this might be thought of as simple translation. Public radio was granted significant benefits under the Copyright Act of 1976, securing the right to use music, for example, under extremely favorable terms. But that right does not on its face extend to the new forms of Internet distribution that increasingly define how we access culture. The simplest response would be to update these earlier freedoms to take account of new media. At a minimum, we could translate the regime that existed into this new technological environment. But translation presumes that the original meaning was intended. Sometimes it was not. Maybe the free access of libraries was planned, a decision of policy makers, or maybe it was just the unavoidable by-product of the limits of the law in an inefficient environment for enforcing the law. Though the original meaning is ambiguous, the ambiguity was latent. But now that it has been made manifest, we need to decide how far free access should reach. I have no clear view. I only know that the two extremes that are before us would, each of them, if operating alone, be awful for our culture. The one extreme, pushed by copyright abolitionists, that forces free access on every form of culture, would shrink the range and the diversity of culture. I am against abolitionism. And I see no reason to support the other extreme either--pushed by the content industry--that seeks to license every single use of culture, in whatever context. That extreme would radically shrink access to our past. Instead we need an approach that recognizes the errors in both extremes, and that crafts the balance that any culture needs: incentives to support a diverse range of creativity, with an assurance that the creativity inspired remains for generations to access and understand. This may be too much to ask. The idea of balanced public policy in this area will strike many as oxymoronic. It is thus no wonder, perhaps, that the likes of Google sought progress not through better legislation, but through a clever kludge, enabled by genius technologists. But this is too important a matter to be left to private enterprises and private deals. Private deals and outdated law are what got us into this mess. Whether or not a sensible public policy is possible, it is urgently needed. Lawrence Lessig is a professor of law at Harvard Law School. His latest book, Remix (Penguin), was published in paperback last year.